 We're a full service photography studio specializing in Pin-Up / Glamour. Our other services include studio and darkroom rental, styling assistant and photographic printing on site, wardrobe and make-up room, as well as a wide variety of props / furniture for rental and use. We're here to help women discover their inner and outer beauty and to capture their true essence on film. Jean-Joel Lawrence, photographer / owner, has been in the industry for over 40 years working with both Hollywood celebrities and beautiful women. He's also a world traveler / anthropologist and has donated his time to producing documentaries on near extinct species of primates in their everyday fight for survival. Miss Serenity Jones, model / co-owner, has worked in the industry for 15 years with many photographers developing her unique pin-up skills / style.